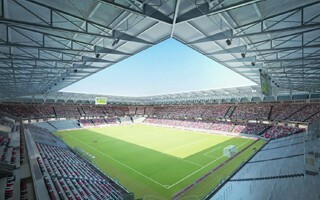 As selected by voters in the 2015 referendum, the city of Freiburg decided to build a brand new football stadium in Wolfswinkel area, beside a local airport. It's part of a much larger urban scheme that will see residential estates added around. 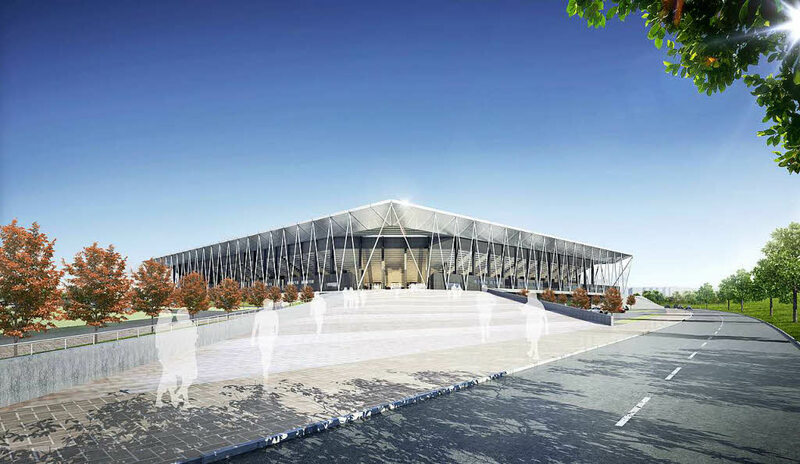 Launched in 2016, the international tender for best and most efficient stadium concept was won by renowned companies HPP and Köster who proposed simple yet distinctive architecture along with satisfying infrastructure for €76 million, below the city's initial estimates of €80-90 million. 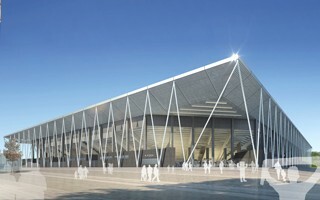 While built largely with prefabricated elements, the stadium shouldn't become an 'identikit' venue with its diagonal ties and imposing rectangular roof. 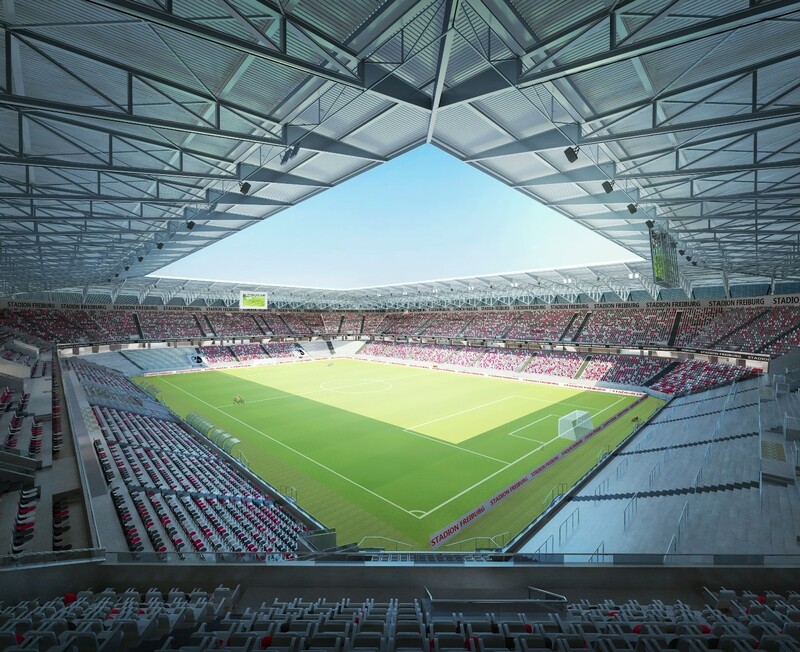 Capacity of nearly 35,000 people is more than you might expect from a stadium rising 25 meters above ground, though it should be noted a very high percentage (36%) will be dedicated to standing areas, particularly at the single-tiered south stand. Remaining stands will have two tiers each with a rather low number of VIP/premium seats (2,000). 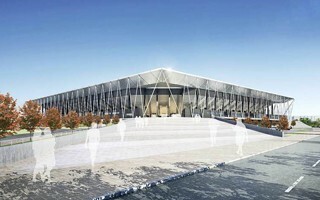 The stadium will use a heating system that should reduce its carbon footprint by 550 tons of CO2 per year. 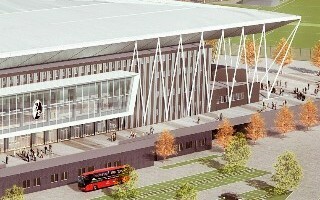 Its roof will also enable the creation of photovoltaic panels later into its operation. 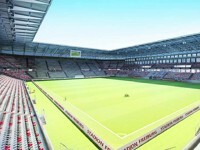 Early enabling works were announced to begin in autumn of 2017, while the first game should be played in mid-2020. 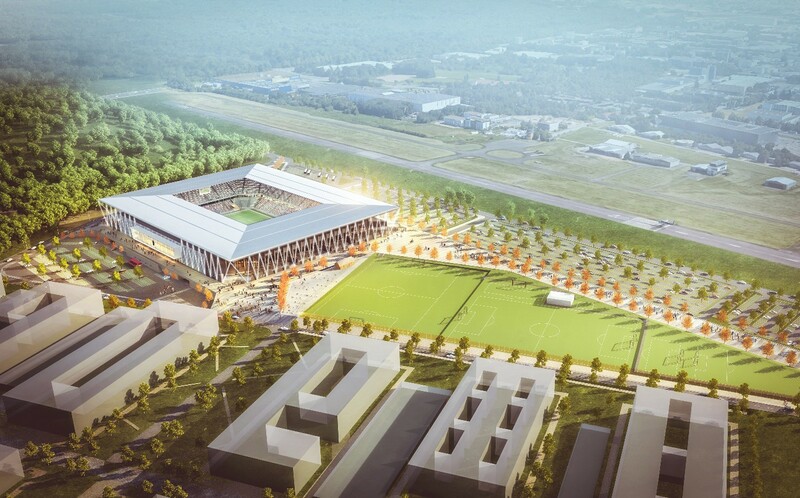 Highest officials and project participants will gather in late March to mount the cornerstone in Wolfswinkel, where new 34,700-capacity stadium is to be opened in 2020. 19.09.2018 Germany: Groundbreaking by year end? 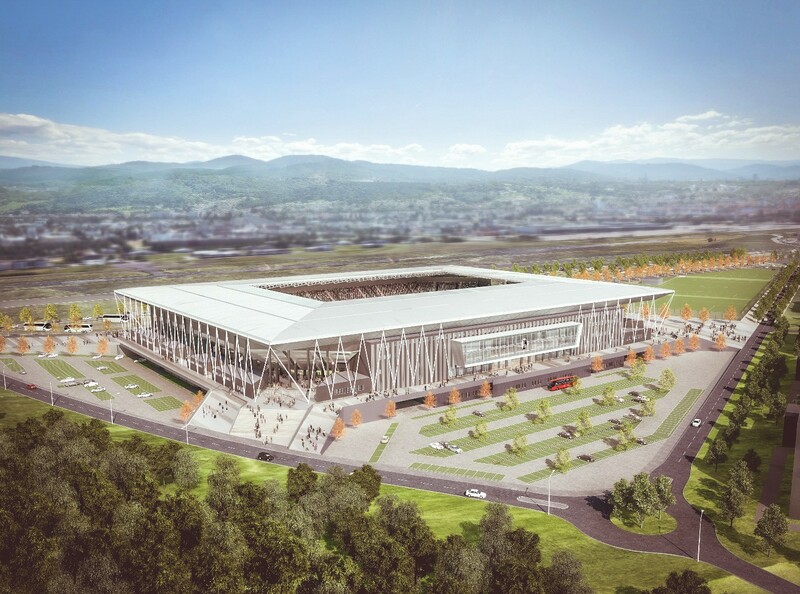 Announced for 2019, construction of the new stadium in Freiburg may come some time sooner. Timely proceedings suggest groundbreaking in 2018 is realistic. 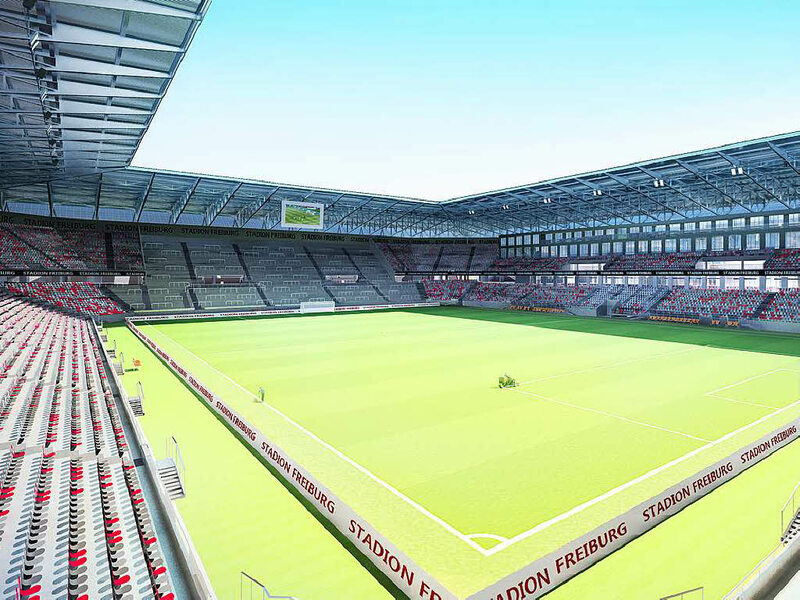 Participation of residents begins as the planning application for new SC Freiburg stadium moves forward. Long 5 months after it had been initiall filed. 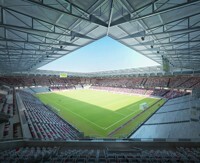 A Stadionwelt.de report. 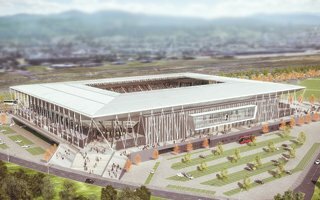 We've known the winning concept for over half a year now, but only today learned how the two runners-up shaped their stadium bids. Meet the enjoyable entries from agn and GMP Architekten. 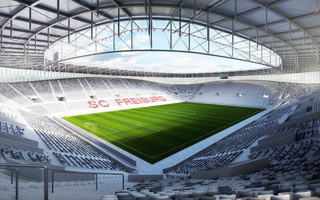 SC Freiburg fans finally saw how their new home will look in mid-2020. With 36% of capacity dedicated to standing supporters, this might be one of the more atmospheric venues. And there's much more to it!